Releasing their brief, Counting Women and Girls In to the National Housing Strategy, on October 24th , YWCA Canada’s Homes for Women Campaign called for the National Housing Strategy to increase access to safe, affordable housing for women and programs and services addressing homelessness of women and girls. 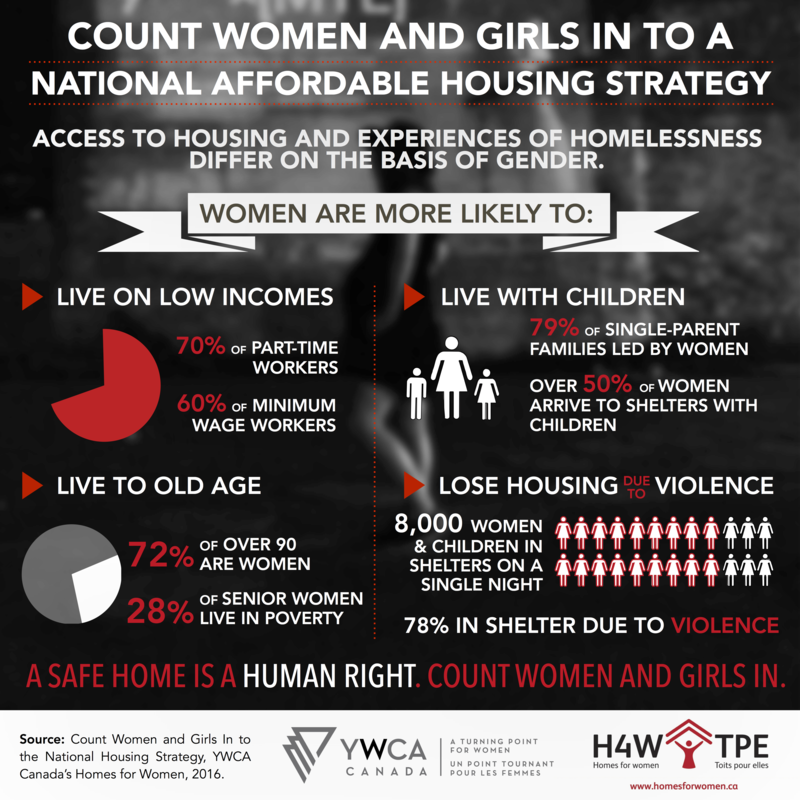 Submitted to the federal government’s National Housing Strategy consultations, the brief continues the work of YWCA Canada’s Homes for Women Campaign to prevent, reduce, and ultimately end homelessness for women and girls in Canada. YWCA Canada is the country’s oldest and largest women’s multi-service organization. The 32 Member Associations serve women and girls in nine provinces and two territories. YWCA Canada is the nation’s single largest provider of shelter to women and children fleeing violence.